Magnum Security Forces Knife | BUDK.com - Knives & Swords At The Lowest Prices! 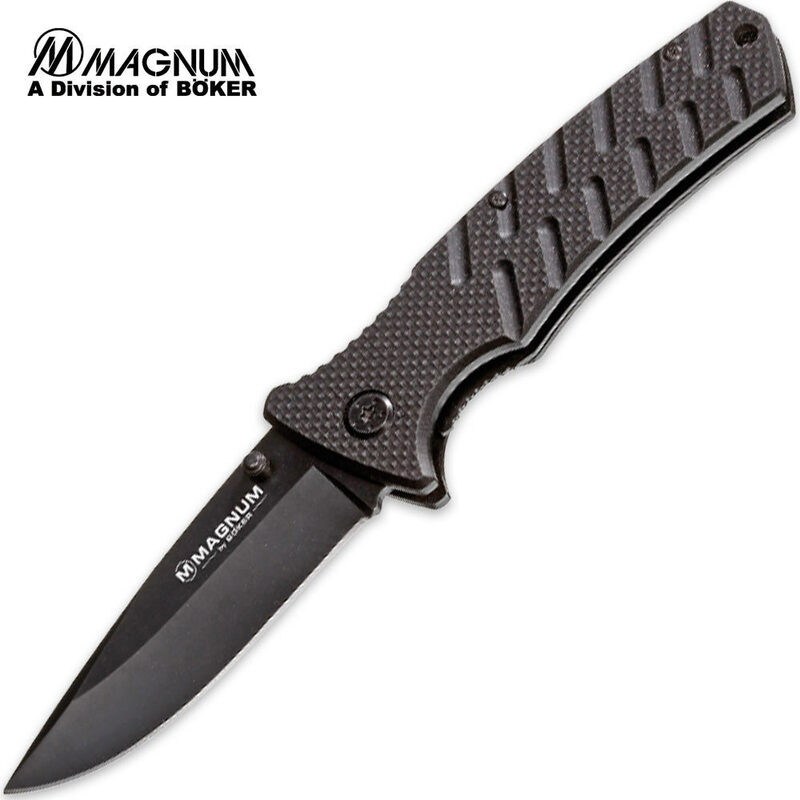 The Magnum Security Forces Spearpoint knife is rugged and built to be used on a daily basis. The 440 stainless steel blade offers a Titanium coating. The G-10 handle scales offer a no-slip grip and a thumb stud for easy one-handed opening. Includes pocket clip.